Liven up your online store with these 10 ready-to-use visuals for your promotions, already translated in 8 languages! 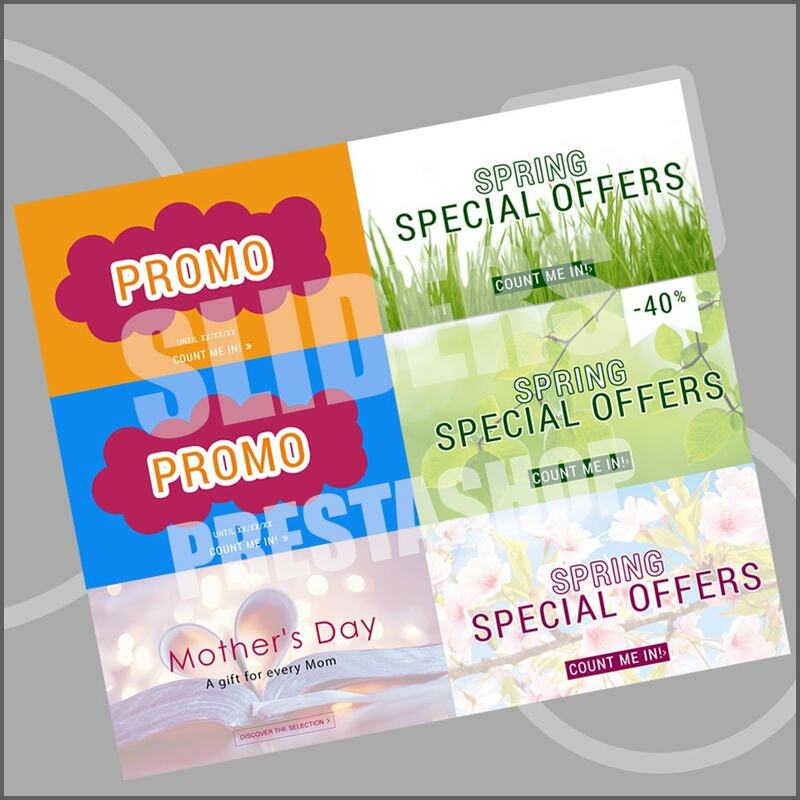 In this pack, you will find every thing you need to make your store a success for Spring Sales, Mother's Day and all kind of Promotions. You don't need a graphic designer! Sell around the world: translations included for English, French, Spanish, Italian, German, Dutch, Polish, and Portuguese. Make sure you're ready for every peak period! 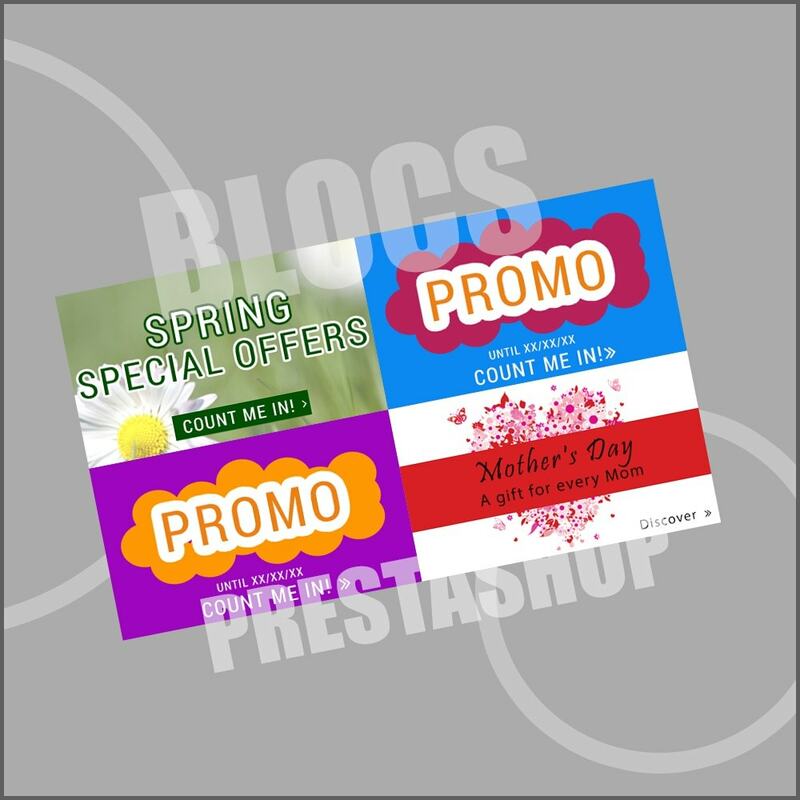 Countains 6 graphics for homepage blocks and 4 for the home slider for Spring Sales, Mother's Day and Promotions. The blocks' and slides' graphics already fit to the PrestaShop 1.6 default template and to many themes sold on PrestaShop Addons. If you use another template, just resize the blocks and slides. Z myślą o Tobie zespół PrestaShop stworzył funkcje idealnie dostosowane do Twoich potrzeb i życzeń.